YouTube is the most popular online video sharing site now-a-days. Lots of video demonstrations and non-copyrighted works are being distributed everyday through Youtube and its a wise idea to keep backups of these useful videos for offline viewing. Officially YouTube do not provide downloading but lots of software and online service made that possible. YouTube Downloader HD is a similar kind of software that can download YouTube videos in normal and HD format and also can convert flash videos to AVI and MP4 format. Youtube Downloader HD may be downloaded as the installer or the portable version. The installer version [4.22 Mb] can be downloaded from the following link. The portable version [3.49 Mb] can be downloaded from the following link. It contains the standalone executable along with a .ini where the software writes its settings. Installation went on smoothly. It requires 7.1 Mb of free disk space. Desktop icon is created automatically. The installer contains Open Candy, which shows two recommendations of software based on users installed software. You just need to click on I do not accept for unneeded software recommendation. The software GUI is straight forward. It will ask you to select the download format and enter the YouTube URL. Supported download formats are the following. Following are the details of each download format. 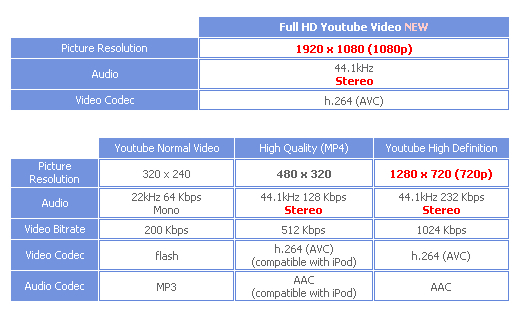 So, you may download both Normal and HD quality videos. Default save location is the Documents folder but you can set it to your desired location. To start the download, click on the Download button and the download will start instantly. You will get an alert on download finish. The software can convert downloaded FLV video to AVI (XVID) and MP4 formats. There is an online video tutorial on the software usage. The software uses only little resource usage all the time. The software is useful for quickly download and convert youtube videos in useful format. It may not have an wide range of features but it is useful for quick tasks. Low resource usage is a bonus. This entry was posted in Download Management, Format Conversion, Free, Portable, Software, Streaming Media, Video Management, Windows, YouTube. You can too select other codecs like FLV, 3GP.